To get all 500 letter tutorials and 3,001 letters for these letter topics, order your copy today. Not sure which version? See the System Requirements. Click Download, then add the CD to your order. We think you'll love our products, but if you are not satisfied with any product you purchase at WriteExpress.com, we offer a 30-day, money-back guarantee. 3,001 Business & Sales Letters is a deluxe version of Easy Letters. You get its entire collection of award-winning letters, plus 901 new sales letters that will help you sell more with attention-getting messages and persuasive sales copy. See all the letter topics. Letter recipes for more than 500 letter-writing topics make creating your own letters easy. Each recipe includes helpful tips, writing steps, plus alternate phrases and sentences for each guided step. See our compliment letter recipes. Includes Free Rhyming Dictionary Software—a $19.99 Value! 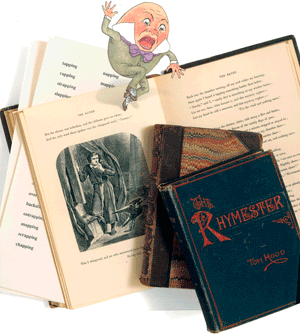 With Rhymer you can find a rhyme in no time. Great for poets, teachers, advertisers and songwriters. Kids love it too. Available only for Windows and Macintosh 10 to 10.5. Phonetic Dictionary (Windows only)—Quickly find words with sounds you want in whatever order. Great for naming, linguistics, speech disorders and those interested in the sounds of words. Note: These programs are bundled together on a single CD or in one downloadable setup program. "The business side of our company uses Easy Letters to build our positive image in the world of publishing." Need to find your Mac OS version? Click the Mac icon at the top left of your screen, and then click About This Mac. Operating System: Windows 10.x, 8.x, 7, Vista, XP, 2000, 98, 95 or Me 4,001 Letters supports Mac OS X Mountain Lion (version 10.8), Mac OS X Lion (version 10.7) and Mac OS X Snow Leopard (version 10.6). Our CD supports older Macintosh Snow Leopard, Leopard, Panther, Tiger or Intel, 10.x or 9.x with Carbon.